The second we passed the guard gate I was stunned at the rock formations, color, and beauty of the park. We approached the Zion-Mount Carmel tunnel and were reminded of a the big deterrent from bike touring this area. Bikes are not allowed in the tunnel. You have to arrange for a car to pick you up and transport you through or you have to hitchhike, both inconvenient options for us at this time. At first I found this annoying, cars are driving 25 mph anyway so what’s the big deal to bike? But I understood. There is practically no shoulder and it’s very dark. The tunnel is 1.1 miles long and was completed in 1930. It sort of feels like you might not make it to the other side. The original purpose of the tunnel was to create easier access from Zion to Bryce Canyon and the Grand Canyon which I appreciate. But was placing it on the side of a sheer cliff really necessary? While driving through the tunnel I caught glimpses of the towering rocks through the window cut-outs (also when I realized I was one rock wall away from going over the edge) . I was eager to get through to the other side and mildly annoyed at how slow everyone was driving. As we approached the light from the opposite end the anticipation and relief made way for a dramatic reveal. Look what appeared! 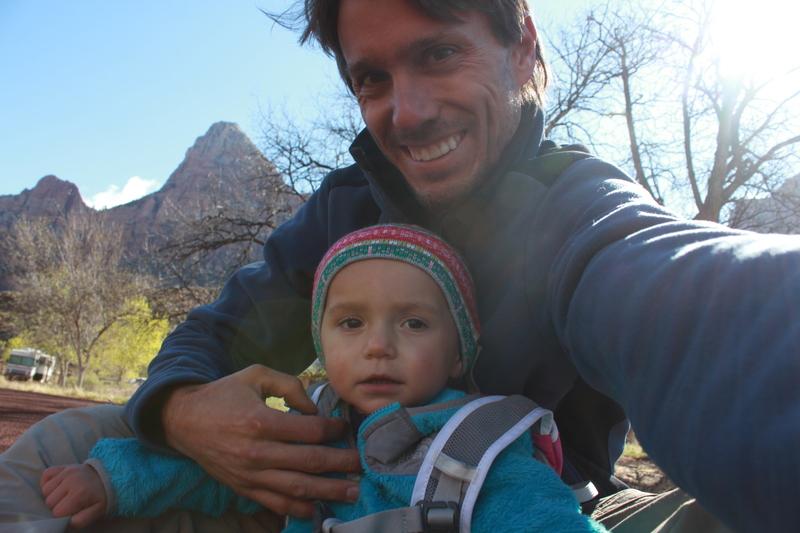 We found our campsite at the Watchman campground and decided to head into town on our bikes for dinner. 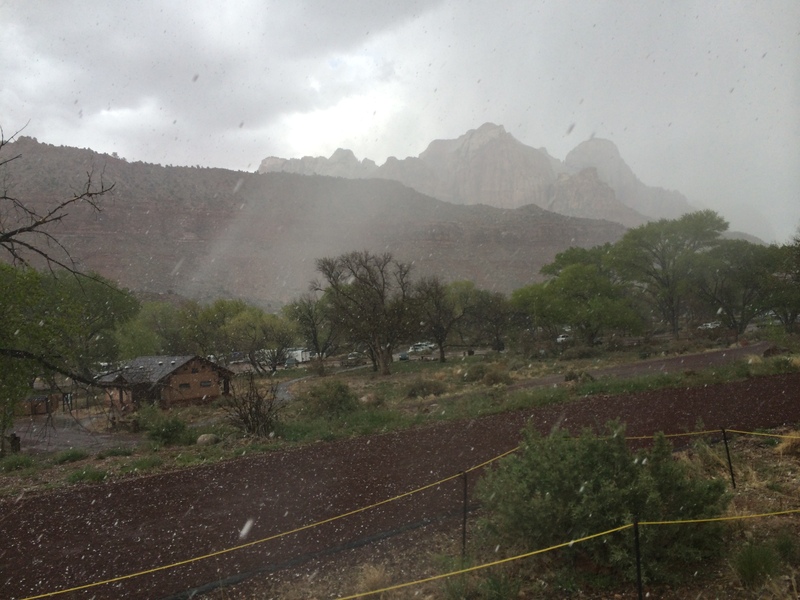 Unfortunately though, just as we were riding away, we were hit with snowstorm. Peter of course wanted to ride through it. I anticipating having to listen to a crying toddler for the next 20 mins convinced him to take the car. It wouldn’t really have mattered if we weren’t traveling with a 23 month old, but the crying child tape gets old real quick and brings down the energy of a vacation. So we drove into town and found a fun little diner where we had Burgers and waited for the storm to pass. I might add that if you are looking for kitschy wall quotes for your vacation cottage this place has it, the walls are covered in them. The quote “If you can’t take the kitsch, get out of the kitchen” has never rang more true. 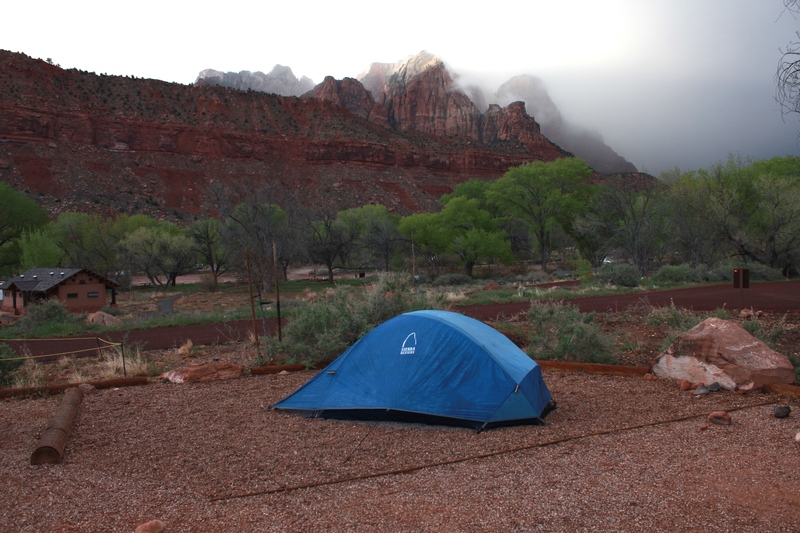 For the camping portion of our trip we brought our Sierra Designs backpacking tent with us. While the tent is a little small for a car-camping-family-of-three we really appreciated how little space it took up in the back of the car. 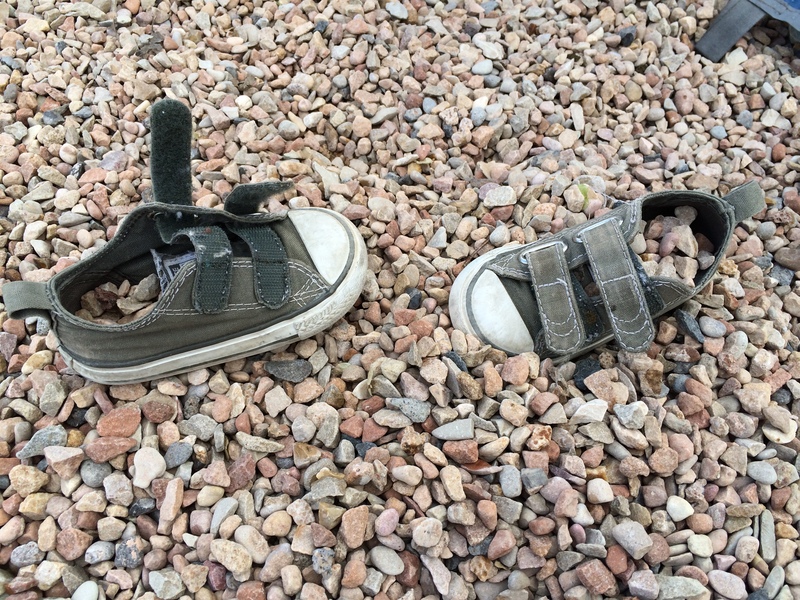 Despite it’s small size, it kept our shoes dry and our family cozy. It does fit two fairly large inflatable mattress pads so based on how little time we actually spent at the campground, it served it’s purpose perfectly. 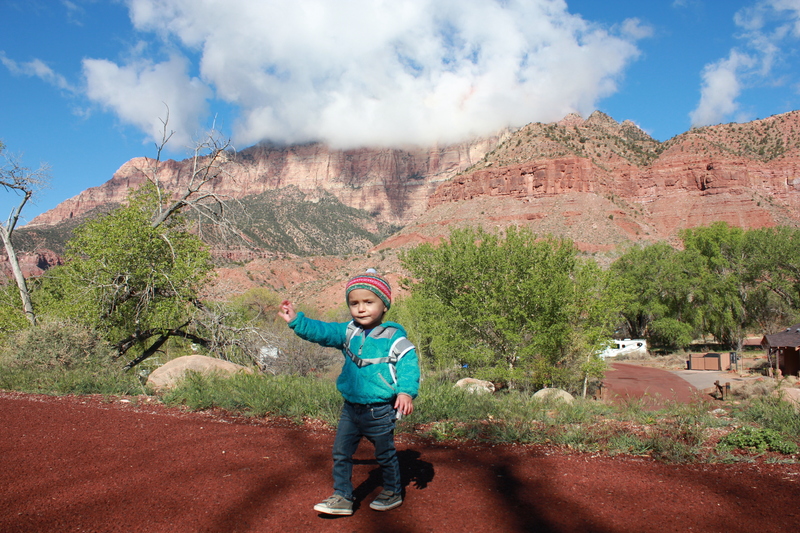 Sage had a great time playing around our campsite and the view from our tent was spectacular. I love that when we travel Sage is forced to find ways to entertain herself without toys. She had a ball filling up and dumping out her shoes with rocks. My favorite part about the town of Springdale was by far the Sol Foods Market. I love food and really love independent grocery stores. This store has all the outdoor food essentials you would expect like trail mix, salami, jerky, quick cooking cereal, etc. but I was surprised to find that they also had really fresh gourmet options! Great prepared foods like quinoa salads, quality deli meat, a fresh and delicious salad bar, freshly baked bakery options, awesome beer selection, unique granola granola choices and homemade brownies and cookies. This is what I am talking about! I love to camp but camping with good food is just HEAVEN ON EARTH! We restocked with a few more groceries and argued over which gourmet options to stuff in the cooler. Unfortunately I don’t have a picture of the grocery store. 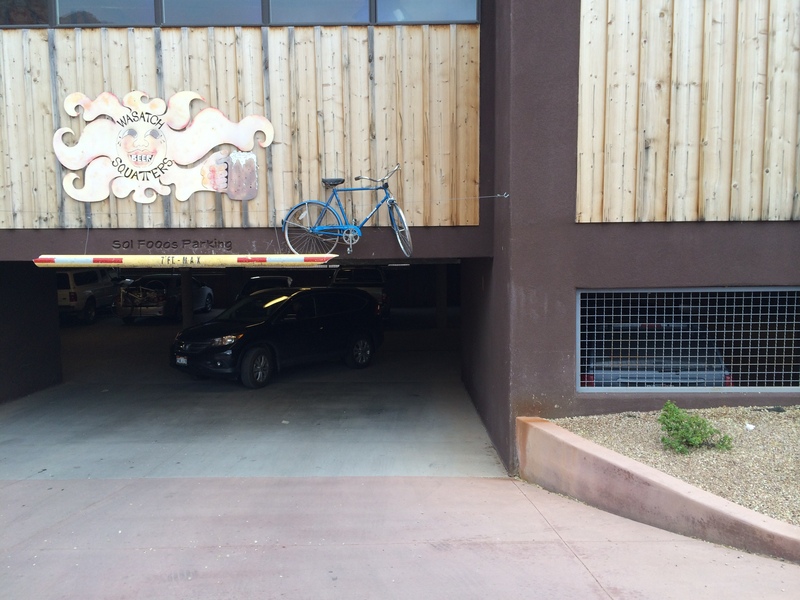 But I do have this funny picture of the entrance to the parking garage. Good reminders to all the cyclists in the area! If your bike is on top of your car go no further! 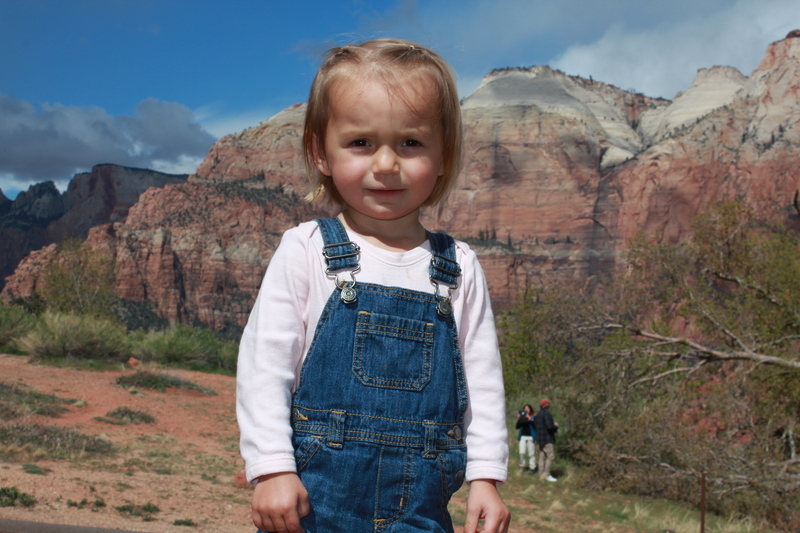 The next morning was our big adventure to Angel’s landing. 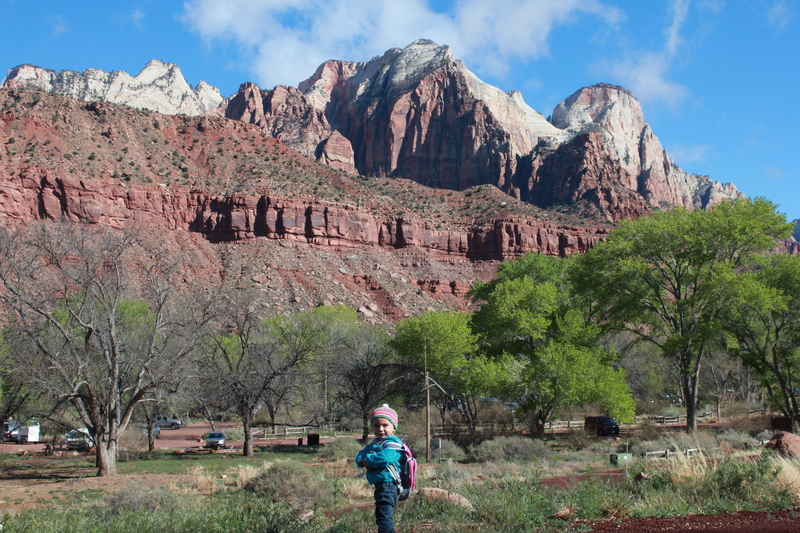 The Zion shuttle is super easy and great for getting around. The narrations about the park’s history and features are wonderful as is how quickly the shuttles come and how their presence keeps the roads quiet. I also kind of have a crush on the narrator. Quality casting agents found this guy. His voice is like butter! In all seriousness though, out of all the national parks I have visited, this one was incredibly well organized and extremely easy to navigate. Senior citizens and those traveling with toddlers take note! 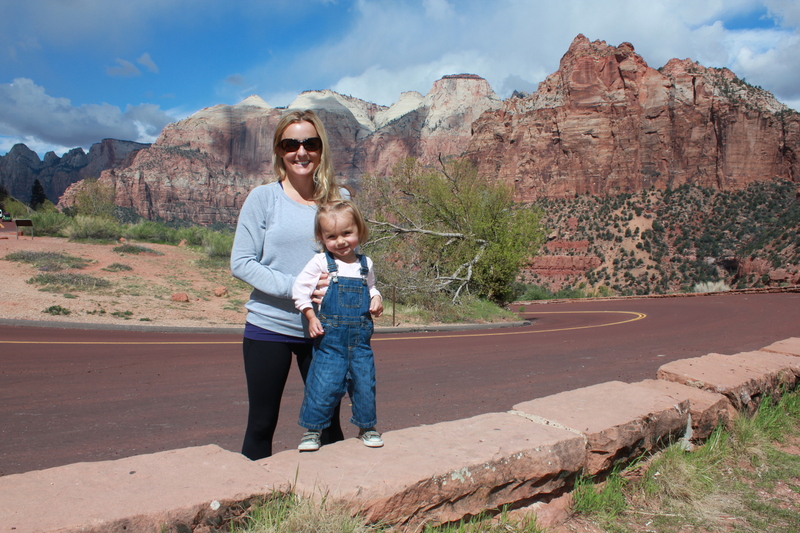 This entry was posted in Camping/Outdoors, hiking, Roadtrips, US travel, Utah and tagged camping, hiking, road trip, road trips with babies, springdale, zion. Bookmark the permalink. Liz, love you posts. But somehow they come thru as the “rum howler blog” which I do subscribe to. So if sage has been sampling fermented sugar cane let me know her tasting critique. Don c.